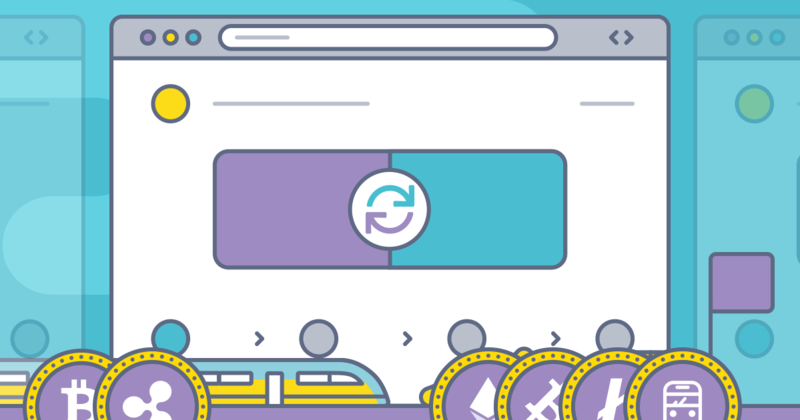 CoinMetro: New Beta UI for Super-Simple Crypto Exchange! We bring you another exciting announcement today – the closed beta-launch of CoinMetro’s brand new, super-simplified Crypto exchange UI! The beta UI is being tested internally right now and will be opened up to our beta testing group in a short while. We’ll keep you informed and updated! This should come as good news to Crypto newbies and beginners, as this beta-launch is the next step on our road to delivering simplified access to the Crypto-sphere. This basic, but very slick UI, featuring an easy-to-follow, step-by-step process, ideal for those who aren’t so into reading charts as those who are perhaps more experienced at exchanging and trading. This is just a sample screenshot – don’t take the numbers/amounts literally! Using this new interface should be is as easy as 1-2-3. Users are guided every single step of the way, with clear questions prompting clear answers. The idea is to create a super-easy and fast solution for buying or selling Cryptos, whatever the knowledge level of the user. 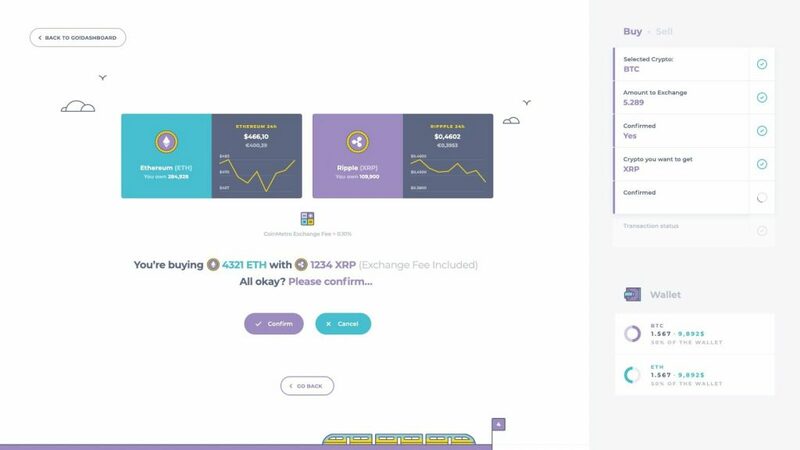 Intense beta-testing of the more detailed exchange UIs (V1 and V2) has continued since their launch last week and we’re currently working on implementing requested updates to the V1 UI. We’ll announce an update on a testable version of this soon. We’d just like to add that such improvements would be impossible without the invaluable feedback of our beta-testers. We’ll never get tired of saying THANK YOU for helping us! 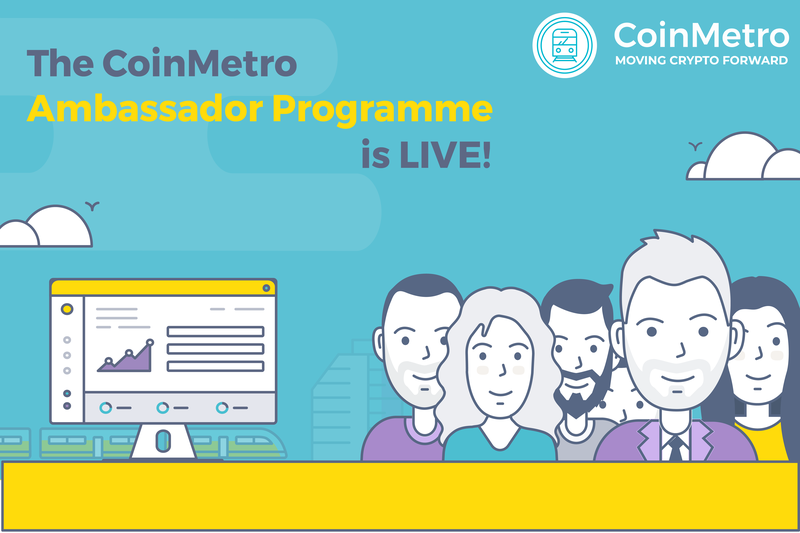 Also, to our wider community, you should know that each one of you plays a pivotal role in the creation and development of CoinMetro’s products and services. Thanks so much for your feedback, support and continued patience. If you have anything on your mind that you’d like to ask or share, please don’t hesitate to get in touch with us!